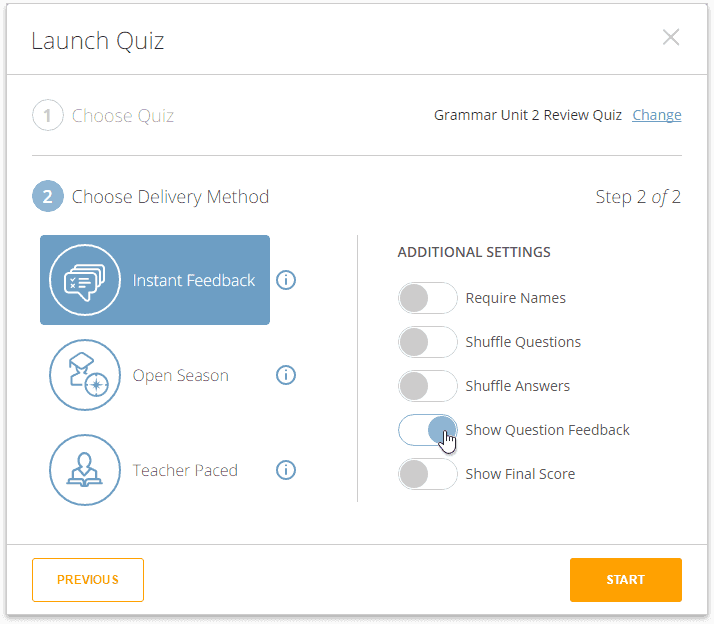 When Show Question Feedback is disabled, students will not receive immediate feedback as they answer questions (i.e., they will not know if they answered correctly or not). 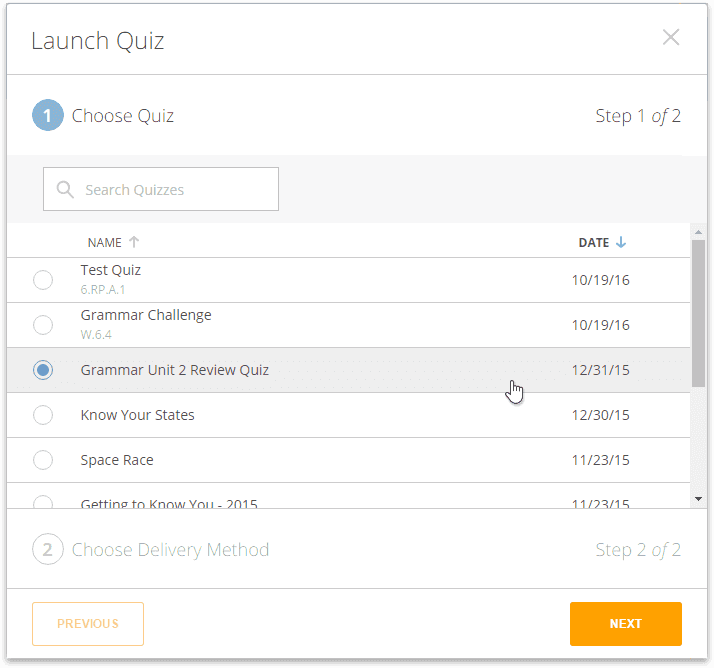 Click on Launch, then click Quiz. Select the quiz you want to run. Instant Feedback—Students receive immediate right/wrong feedback and explanations (if applicable) after every question. Students answer questions in order and cannot skip or change their answers. You can monitor their progress from the Live Results table. 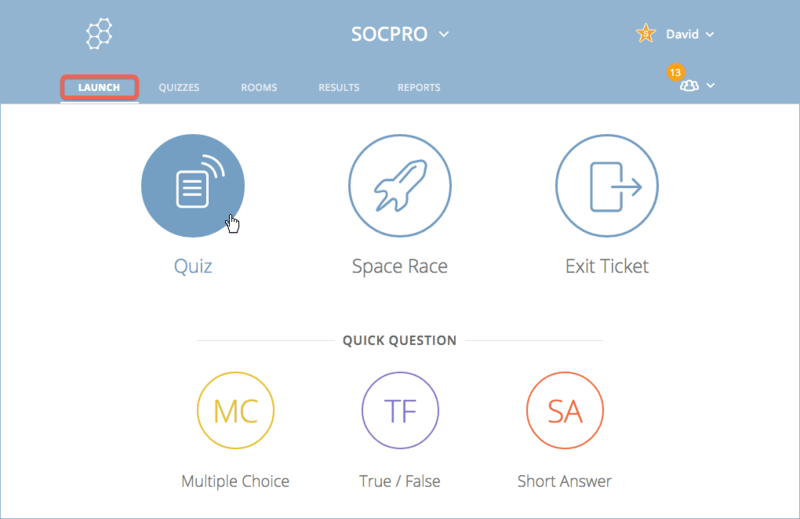 Open Navigation—Students have the ability to skip questions, edit their answers, and navigate the quiz at their own pace. Once they've finished, they can submit the entire assessment. You can monitor their progress from the Live Results table. Teacher Paced—You control the flow of questions; send one question at a time and observe responses as they happen. You can also skip and revisit questions. In the Additional Settings section, disable the Show Question Feedback toggle.